There’s certainly a lot of hot air when it comes management appointments, especially in the age of twitter, facebook etc, so in some respects Aston Villa’s statement was a refreshing change. 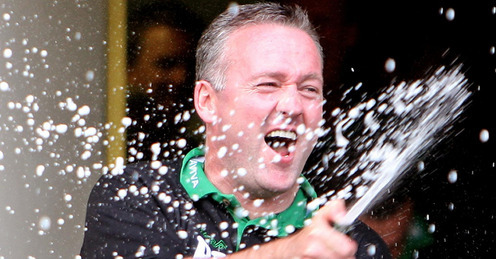 The Board of Aston Villa are delighted to confirm that Paul Lambert has been appointed Villa manager. Short of writing ‘PL4AVFC’, you couldn’t get any shorter? Understandably with jubilee weekend, at least confirming it before the Queen’s celebration meant Villa fans could free up surfing the web or twittering away to find out updates, to have more drinking time in honour of both her majesty and Prince Lambert. It also seems that the finer details haven’t been bashed out between the two clubs, since the finer points of Lambert’s rolling contract (the kind that O’Neil seemed to favour) has led to some confusions that needed to be ironed out. Allegedly Lambert’s contract included a clause that allowed him to talk to other Premiership clubs, if a job became available. When the Villa job cropped up and he was refused such a right, Lambert resigned. Norwich City, realising that they would miss out on potential compensation refused the resignation. Hence, a few grey areas needed to be sorted out, despite the confirmation of Lambert’s appointment. 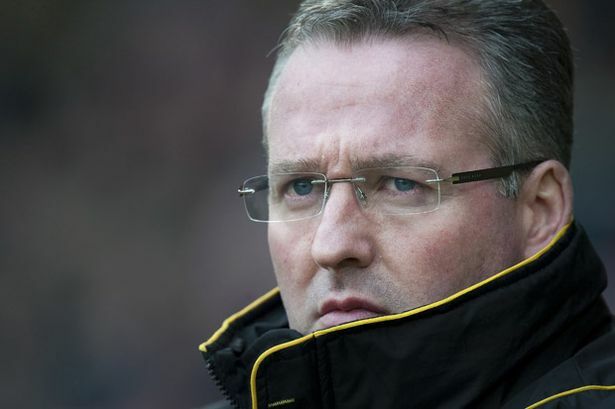 The Board of Aston Villa are delighted to confirm that Paul Lambert has been appointed Villa manager. 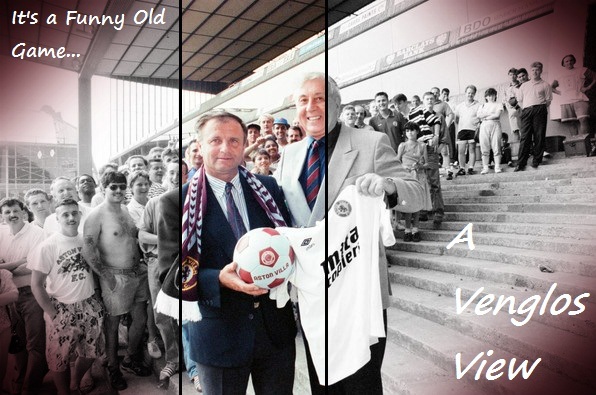 We would have loved to have presented to supporters a full statement with pictures of Paul wearing a Villa tie and holding up a Villa scarf above his head, but we thought we’d use the time it would have taken to organise this, to take Paul shopping instead. He’s insisted he must hit the ground running, so the extended bank holiday will give us a great opportunity to help him achieve this. First of all we will take Paul to B & Q to pick up a good sharp axe, which he said he’ll need to cut away the dead wood at the club. Then it’ll be over to Halfords to buy some jump leads, for which Paul said, were essential for sparking into life the players he wished to keep, but felt under-performed last season at the club. We’ll be calling into our phone provider to upgrade our phone package to offer better rates on European and International calls to make it cheaper for Paul to access his contacts abroad in the search of new players and to also call Jean II Makoun in Greece to discuss his future. Paul has also insisted in stopping off at Villa’s bank, as he wants to double-check there is around £20 million in our account for him to spend on new players. We were then planning to let Paul use Mr Lerner’s private plane to fly to Norwich to pick up Grant Holt for talks. Unfortunately, the airport in Norwich, like the city’s football club, isn’t as big as it thinks it is, and there isn’t room for Mr Lerner’s plane to land. The airport is very much a work-in-progress (again, like their football team) with only a few flights operating through it. Also, they said, they don’t have insurance for planes without propellers. This may slow down the process of speaking to Holt, but we hope he isn’t too old (currently 31) by the time we can make a decision on if we want him. While Paul will be busy with Mr Lerner over the bank holiday, Villa’s other Paul, Mr Faulkner will stay in the office to check Paul Lambert’s CV and his references. Something he admitted last week, to much laughter, he completely forgot to do with our last appointment Mr Alex McLeish. Although, credit where it’s due, as he said, if it wasn’t for that oversight, he would have never got the call from the FA to join their select board. I’m sure you’ll all agree,this silver lining more than makes up for the misery of last season. He’ll be making sure that Mr Lambert’s managerial CV doesn’t include managing our arch rivals Birmingham City or includes suffering any double-relegations with any team he’s managed. Credit where it’s due, as he said, if it wasn’t for his oversight last season, he would have never got the call from the FA to join their select committee. I’m sure you’ll all agree,this silver lining more than makes up for the misery of last season for the club. We are hoping to do the presentation on Wednesday, if we receive a shipment in time from Macron in Italy of ties and scarves for Paul Lambert’s photo call. However, if Macron prove to be anything like Nike, we may have to postpone the official veiling of Paul as Villa’s new manager until the season starts.